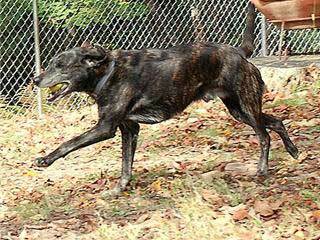 North Carolina’s State Dog the Plott Hound has been running across the rugged mountain ranges of Western North Carolina and through the dense swampland on the east coast for over 250 years. These canines have been shipped to hunters in Greece, Germany, Spain, Japan, Canada, and Central and South America plus used by hunters in a large number of the states in our Union. 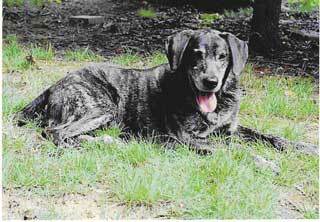 It is the only breed known to have originated in North Carolina, and it was named in honor of Jonathon Plott, a German immigrant. 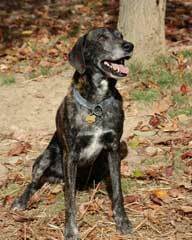 The Plott family’s oral history relates that at 16 years old Jonathon left his homeland for a better life in the new world accompanied by five dogs—three striped and two yellowish. After arriving in Philadelphia on September 12, 1750 Jonathon traveled to New Bern, North Carolina and then inland to Cabarrus County. He married, bought a farm, and began raising his children and his hunting dogs. As his children grew into adulthood, they left home with hunting dogs in tow and established themselves in different areas of North Carolina. Jonathon’s son Henry eventually settled near the Balsam Mountains near what is now Waynesville, NC, where game was plentiful. Henry and his pack of Plotts were often called in to help his neighbors rid their farms of wildlife that was attacking their livestock. The reputation of Henry’s bear dogs grew so much that the National Park Service erected an interpretive sign at mile marker 457.9 honoring Henry and his descendents. 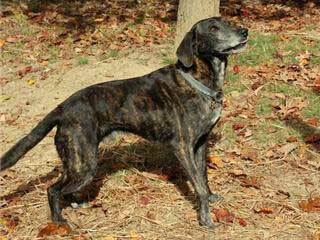 Few direct descendents of the Plott family raise the dogs today. However, many breeders around the United States have taken up the cause and are continuing this beautiful hunting hound breed. Many Plotts are still running over mountains, hills, and valleys after the quarry they love to hate even though the hunting is for pleasure now instead of survival! Some Plotts are being used in different roles like animal rescue, competition and field trial hunts, and the show arena. 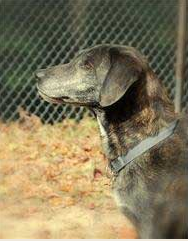 Our Plott Lucky is entering a different venue for Plotts, and that is the educational arena. Stay on track with Lucky as he travels our beautiful TarHeel state “talking Plotts” and teaching North Carolina history to school children. Pictures are courtesy of Tom Styers of Greensboro, NC.